M Missoni Embroidered Maxi Dress - Navy and gold-toned metallic fibre blend embroidered maxi dress from M Missoni. Material:Polyamide/Polyester/Metallic Fibre/Viscose. 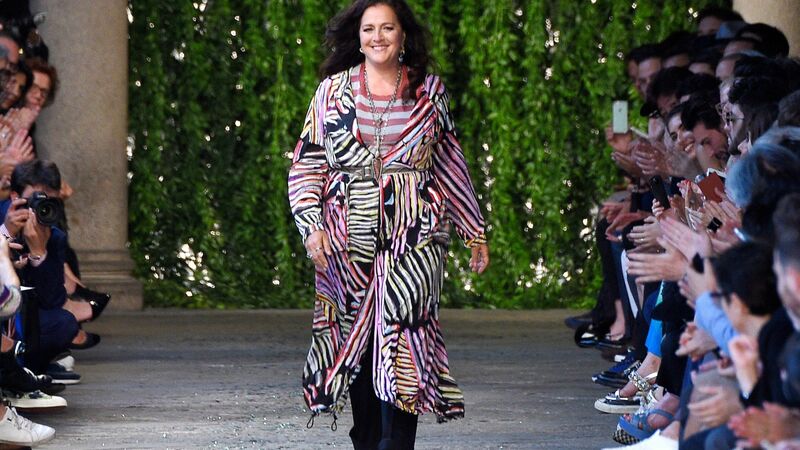 To commemorate her 20th year as Missoni's creative director, the designer has released a limited-edition line of colorful varsity-inspired styles.